You’re tired of just loud cheering for your team playing an important basketball match. You want to help your team but you do not know how. You have just realized that a player who can bring a reversal and win the match is just sitting on the bench for an entire quarter. The coach of your team is not calling for a timeout, and the car is going downhill while the opponent already leads by twelve points. Millions of spectators, both in the arena and in front of a TV, are looking for ways to help their team. And, now they can do so while watching the game and holding a phone with an active CouchCoach application. The group of enthusiasts gathered around the entrepreneur Nenad Nikolin, assisted by the advisors Igor Kokoškov, the coach of Fenix Suns, Vladimir Kuzmanović, Sport Club reporter, as well as Zoran Šećerov and Vladimir Stanković, respected sports journalists and the FireFly Team, managed to make an application that became very popular among fans in a short time and seems to have a good future. After a pilot project implemented with the ABA Basketball League, winning the Spark.me Regional Conference and a remarkable performance at TechCrunch in San Francisco, CouchCoach received a support from the Innovation Activity Fund under the Early Development Program of the Republic of Serbia. 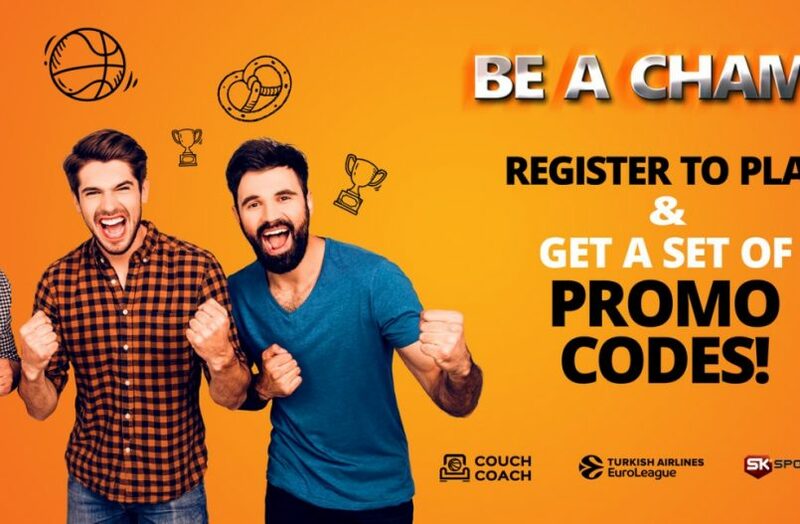 CouchCoach is one of the nine finalists of the recently held Euroleague Tech Challenge program that brought together the most innovative startups around the world aiming to make the basketball game even more interesting for all participants. 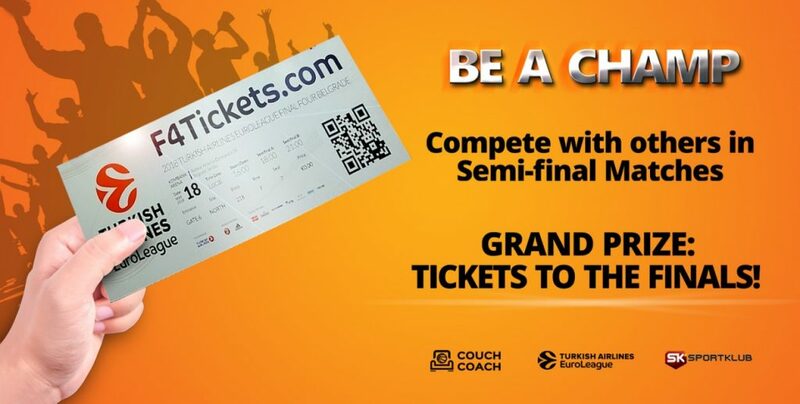 If you have not been lucky to get a ticket for the Euroleague Final Four, but you become the best coach from the couch in the Final Four Semifinals, you’ll reserve your seat in the Soko Štark Arena. The best coach from the couch in the final will receive a trophy from the hands of the winning team coach. For the most successful and most persistent coaches from the couch more than 100 awards were provided (t-shirts, caps, pendants and other props). A special feature in the “Be a Champ” campaign is the “Express Yourself” competition, which includes awards for the best selfies made by the Selfikon app. For all fans, Car: Go app has provided a special discount that can be redeemed with a promo code. 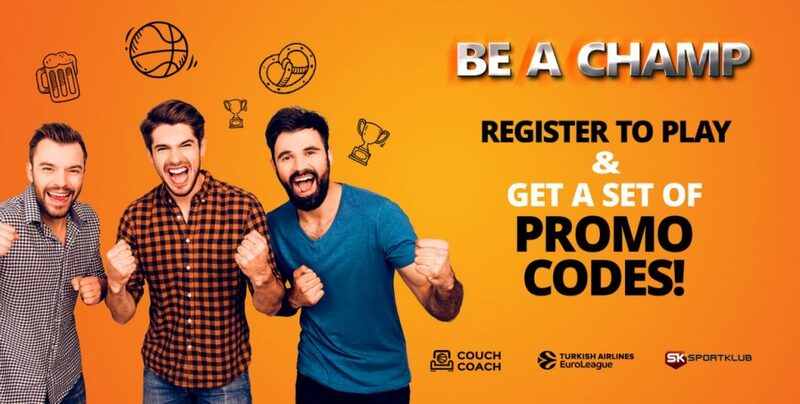 For more information about “Be a Champ” campaign and the registration follow the link https://beachamp.couchcoach.me/.